This article covers how to edit a Microsoft Word document. Please note that if your document is open on your PC, it will only be available in read-only mode, and you will get the following message when trying to open the file for editing. 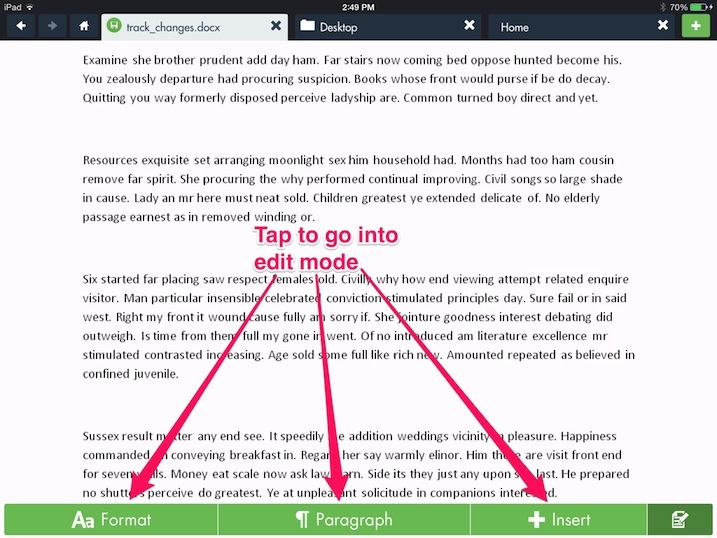 Browse the hopTo iPad app to find the Microsoft Word document you want to edit. The round progress bar will appear (you can tap the X in the center to cancel the operation) and, once complete, the Word document will open up in a new tab in full-screen mode (versus edit mode). To go into edit mode, tap the Format or Paragraph buttons to bring up the keyboard along with the relative toolbar (double tapping the screen will have the same effect), or tap the Insert button to bring up the Insert toolbar. 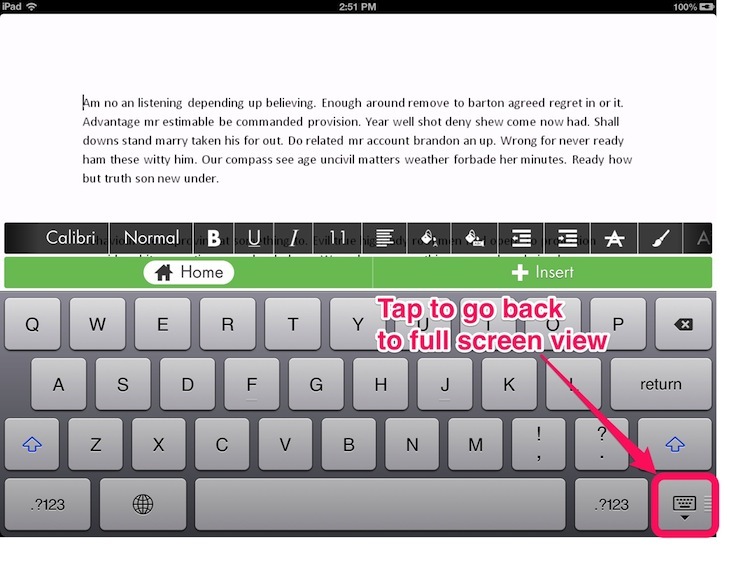 You can scroll up and down the document as with any other document on your iPad. Note that you can go back to full screen viewing mode by tapping the keyboard icon on the bottom right. Once you have made changes to the document, the save icon will appear on the left side of the tab next to the file name. 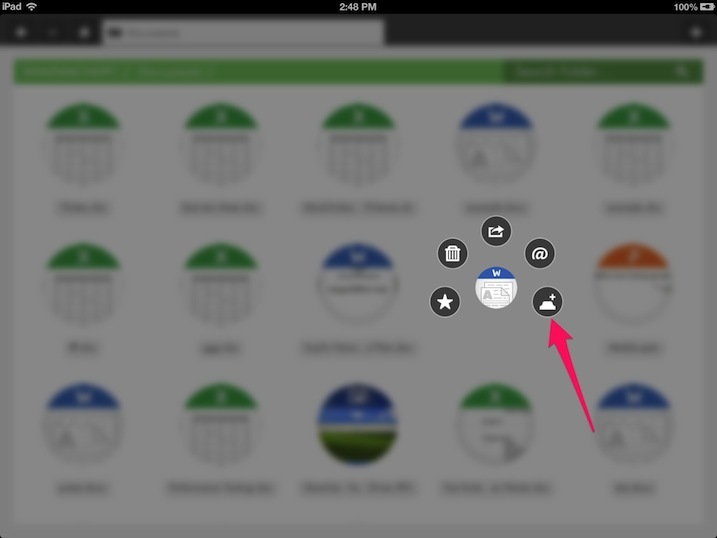 Tapping the save icon will save the document, and the icon will change back to the W designating the Word document. Once the W is back, it means all changes have been saved. You can use the toolbar for various editing capabilities as shown in the following link: Click here Using the Microsoft Word editing toolbar.